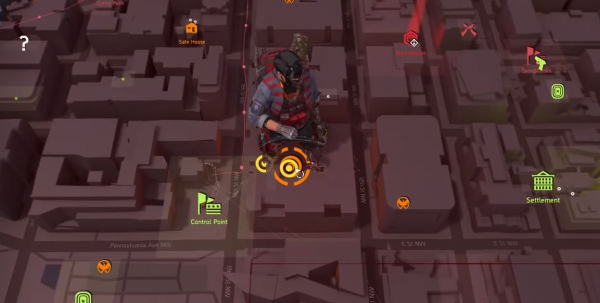 There are plenty of collectables to find in The Division 2, including the secret hunter masks. There are 12 masks to find in The Division 2, though you’ll need to face off just as many Hunters to find them. There’s a pre-requisite to finding all of the masks and you’ll need to do them all at night with the exception of the Demon mask. The Hunters are usually level 35, so we’d suggest levelling up quickly to at least level 30 before taking these challenges on. If there are enemy patrols around, clear them out first as Hunters won’t spawn if there’s activity. They might move around, so listen for music changes, a flash on your radar or static on the UI which will alert you to their presence. There’s also a chance that a Hunter will drop an Ivory Key. The Ciphers you need to solve give you the instructions on how to spawn a Hunter, so there’s a good chance you’ll find an Ivory Key alongside a mask. At present, it looks like it’s a bit of a random drop, but there are 12 Hunters to find so don’t give up if a key doesn’t spawn first time. Once you’ve unlocked the Base of Operations, walk in and look at the bunk beds to your right corner. A guy will be sleeping and there will be a weapons crate, for which you need eight Ivory Keys to open. It would be a good idea to take a few friends along if you aren’t a high enough level yet. Happy hunting! 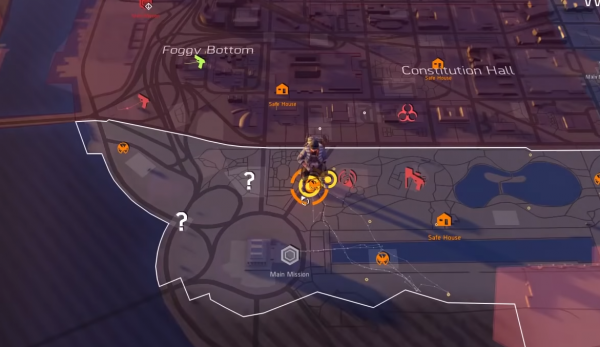 To find these two masks, you’ll first need to reclaim the Control Point near the Washington Monument. Once you’ve done that, go down the elevator shaft and go to the back of the room to the screen. 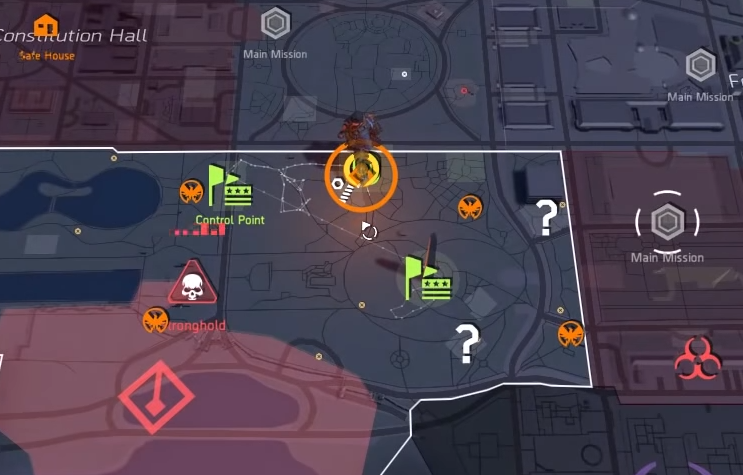 Interact with it and you’ll see three map points on the screen. You’ll need to visit and salute three grave sites for this section. The first is near the Control Point, to the bottom right near the shipping containers. The third is Northeast of the monument, near some trees and the third is Southeast of the monument in a grassy area. 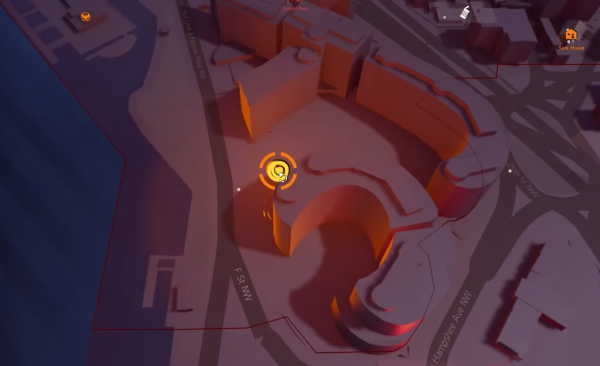 You should be able to see the word Unite on the monument through a gap. Once you’ve saluted all of these graves, return to the screen at the Control Point. 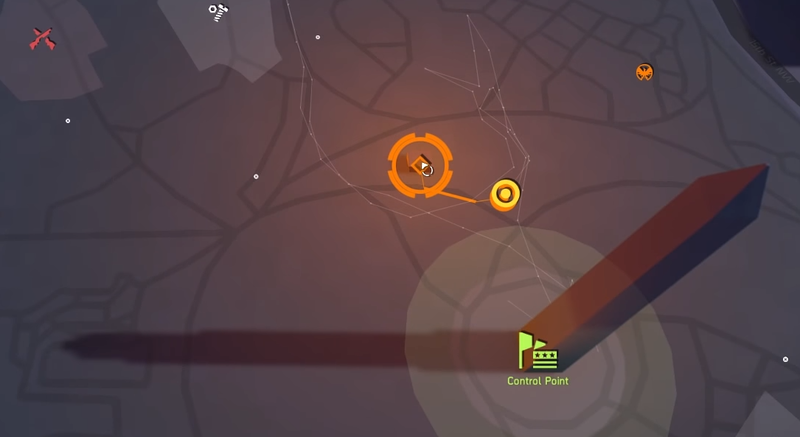 A large orange circle will show on screen. From here, head west and under a sign that says Missing Persons. Look up to the right and you’ll see a crane and a Hunter sitting on a shipping container. You need to one-shot this Hunter to get the mask. If you miss, go back to the Control Point screen and try again. The Ghost mask will drop if you are successful. To get the Spectre mask, head North from the monument and check the rooftops for the Hunter. 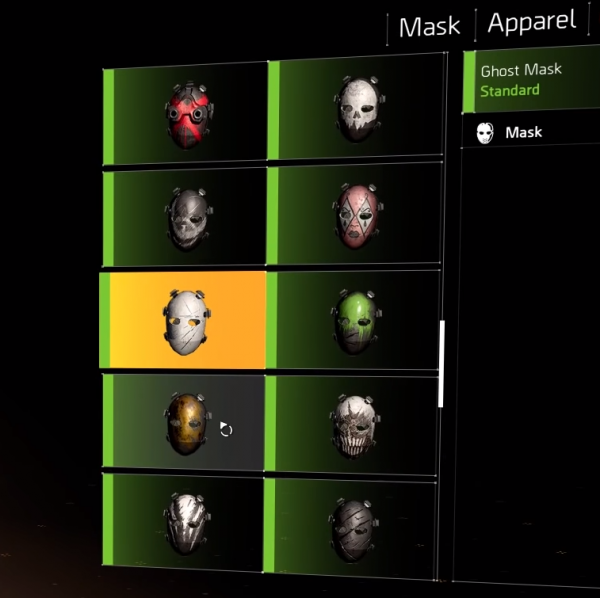 If you successfully snipe him, the Spectre mask will drop. For these masks, you’ll need to go West to an area with a shallow swimming pool. Stand in this pool and use the Jumping Jack emote. Two Hunters will then spawn and you’ll have to kill them both to get the Midas and Revenant masks. 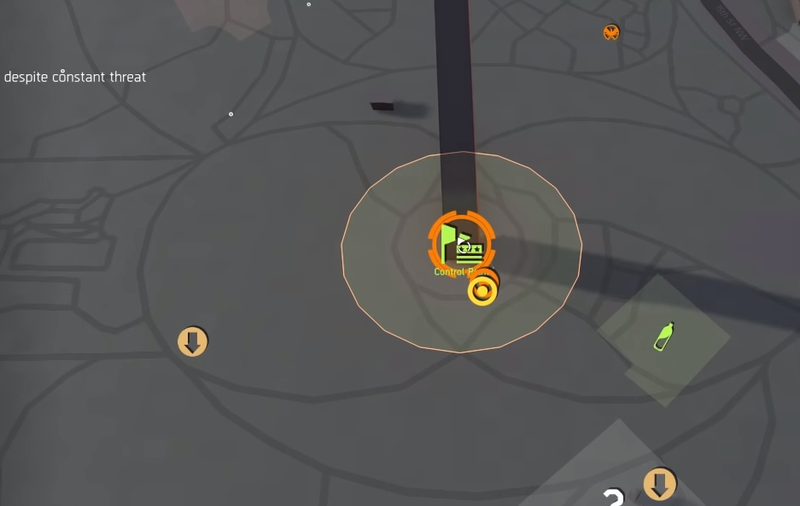 Head to the bottom left corner of the map, near the Lincoln Memorial, to an SHD cache. Go down the sewer entrance and follow the tunnel until you get to roop with a laptop in it. Interact with the laptop and a light will come on, highlighting a map. Go to the body of water at the memorial and look for scaffolding that has a light dangling from it. Shoot the lightbulb and a Hunter will spawn. He’s level 35, so this isn’t for the faint-hearted. Defeat him and you’ll pick up the Ghoul mask. 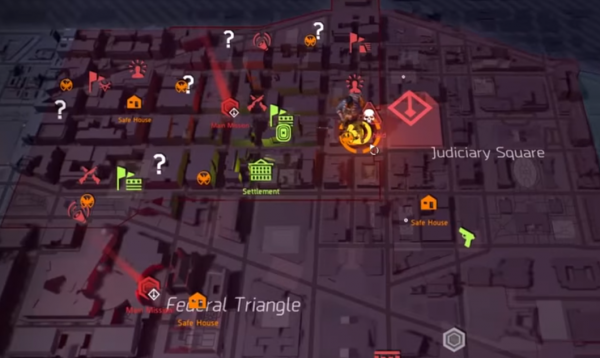 From here, go to the far East of the map, to the right of the safehouse near Capitol Hill. You’re looking for a memorial wall with water in front of it. Stand in the water and turn round to your left and shoot the light illuminating the wall. Step out of the water, and stand behind the light and salute the wall. You’ll know it’s worked when a Hunter spawns. Take him down to get the Wraith mask. To get this mask, you’ll need to do a bit of running about. You want to head to a location near the stronghold close to Judiciary Square. Go to the courtyard and stand in the middle. You’ll see a wall with two doorways in it on one side, and one with a single doorway on the other. Head into the room with the two doorways first and interact with the computer at the desk. Turn around and run to the other side of the courtyard, go through the other doorway and interact with the phone you see on the desk. If you look out into the courtyard, you’ll see lots of smoke and a Hunter will appear. Defeat him to get the Crimson mask. Cross, Diamond, Death and Phantom masks. There are four masks up for grabs here and by far the most difficult challenge. To begin, you’ll need to go North of the Control Point, to the park with the Christmas tree in the middle. Go into the office and you’ll see a lever on the side of the desk. Pull this, then go back outside and start running around the Christmas tree. Do this until you see smoke and then three Hunters will appear. Take out the three Hunters to get the Cross, Diamond and Death masks. 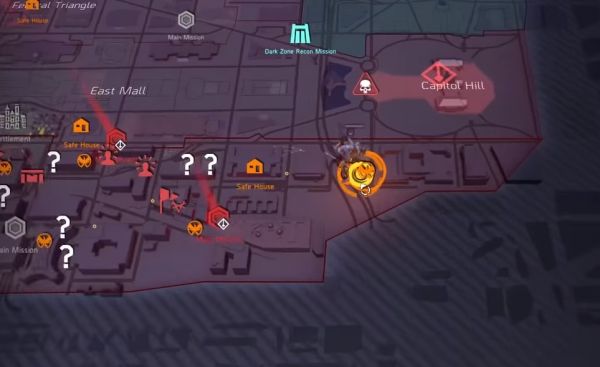 To get the Phantom mask, head outside the park to the street on the right. You should find a Hunter crouched near the fence and he’ll drop the Phantom mask when you’re done with him. To get this last mask, head to the shopping mall East of the White House and right of the Control Point. Go down the escalator and follow the path and stairs until you find a grassy platform. Stand on the platform and look at the windows across and you’ll see four targets. 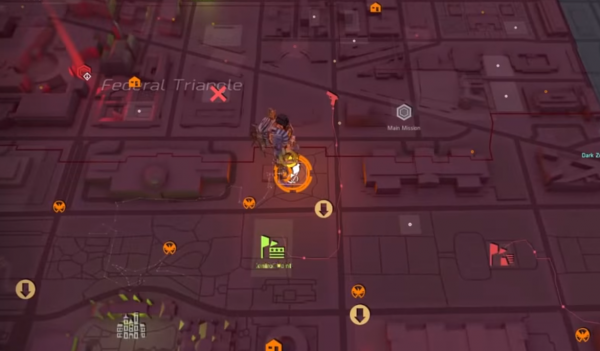 Shoot all four top-to-bottom and then a Hunter will spawn. Once he’s been dealt with, you’ll get the Demon mask. And that’s it! If you’re looking for the best skills, how to get The Chatter Box SMG and Nemesis sniper rifle, and how to get to level 30 quickly, then check out our ultimate The Division 2 guide.